Maggie Steffens is approaching phenom status at age 25. She was the top scorer and MVP at the last two Olympics, leading the U.S. to a pair of gold medals, and now could be crowned the 2018 Sportswoman of the year. 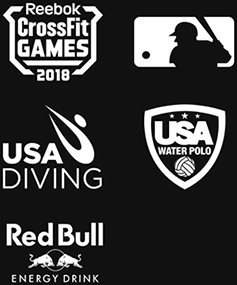 RockTape athlete, Maggie Steffens, has been nominated for the Sportswoman of the Year 2018, presented by the Women’s Sports Foundation. The nomination was earned due to her amazing athletic performance in the water. In June, Steffens scored seven goals and led Team USA to gold at the 2018 FINA World League Super Final. In May, she helped her club team UVSE to the Hungarian League title in 2018. 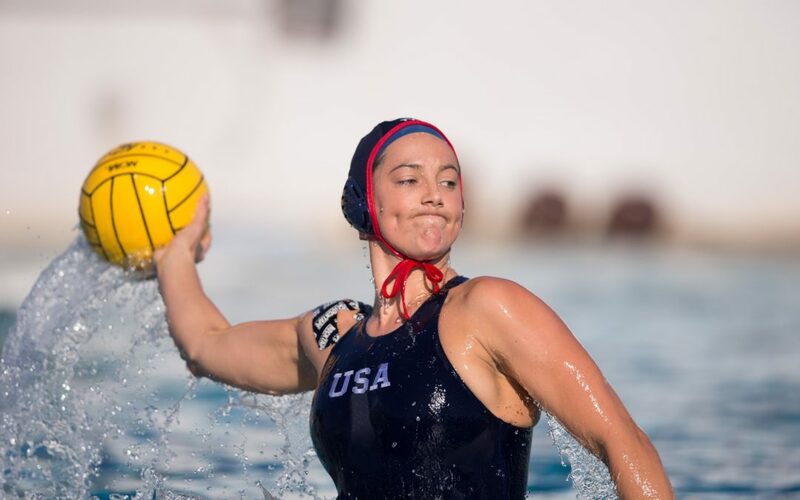 In January, she was named Swimming World Women’s Water Polo Player of the Year for 2017. 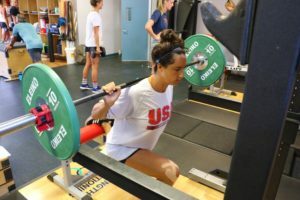 Every year, Women in Sports, recognizes an individual sport athlete and team sport athlete whose performances over a 12-month time span have been exceptional. Past winners include Venus and Serena Williams, Abby Wambach, Meryl Davis, Simone Biles, Yani Tseng and Candace Parker. It’s safe to say the Sportswoman of the Year Award is one of the most prestigious in the game! Award winners will be announced on October 17 at the Annual Salute. Good luck, Maggie! !